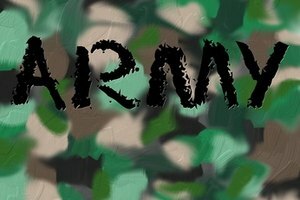 Few things in the Army bring more pride and honor than awards and medals given for bravery, heroism or simply a job well done. 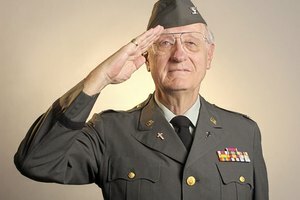 Although the Army encourages soldiers to display their ribbons and medals, there are specific guidelines that govern their wear on the Army Service Uniform (ASU). These guidelines are specifically laid out in Chapter 29 of Army Regulation 670-1, which governs the wear of all Army uniforms. 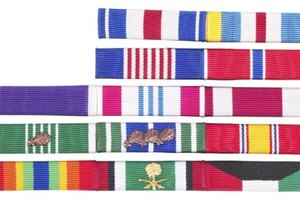 Arrange each ribbon on the ribbon rack in the order of precedence outlined by AR 670-1, with the highest-ranking ribbons at the top and moving down from right to left. 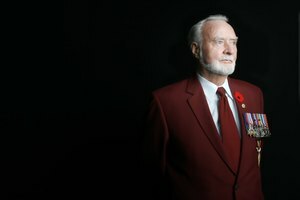 While lengthy, this order begins with high-level military awards such as the Medal of Honor or Distinguished Service Cross and goes down to include unit awards, non-military awards and foreign awards. Arrange the ribbons in rows of no more than four. If more than four are worn, it is appropriate to begin another row. Note that the first and second row should have the same number of ribbons, either three or four. Ensuing rows can have less, but must be arranged neatly. Pin the ribbon rack centered with and 1/8-inch above the left breast pocket on the ASU's coat on a male uniform. Women should wear the rack on the left side of the coat and centered with the nameplate on the right side of the uniform. Note that for women minor adjustments for body type are allowed. Arrange each medal in order of precedence, from top to bottom and from right to left. Place medals lowest in precedence on the left breast of the coat immediately above the left breast pocket for males and centered on the jacket itself for females. 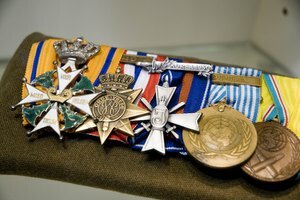 Medals can be arranged in more that one row in necessary, but no row should have more medals than the bottom row and should be 1/8 inch apart from the one above or below it. Ensure the medals do not overlap on each row. Medals on higher rows can hang down over medals on lower rows, but all medals should be visible. The exact number of medals in each row depends on the size of the coat and number of medals worn. Note that the Medal of Honor is exempt from the rules laid out for standard medals in AR 670-1 and should always be worn around the neck with the suspension ribbon above the shirt collar but below the jacket. It can be worn with other neck decorations, but must always be worn on top. Moore, Marshall. "How to Place Awards on an Army Dress Uniform." 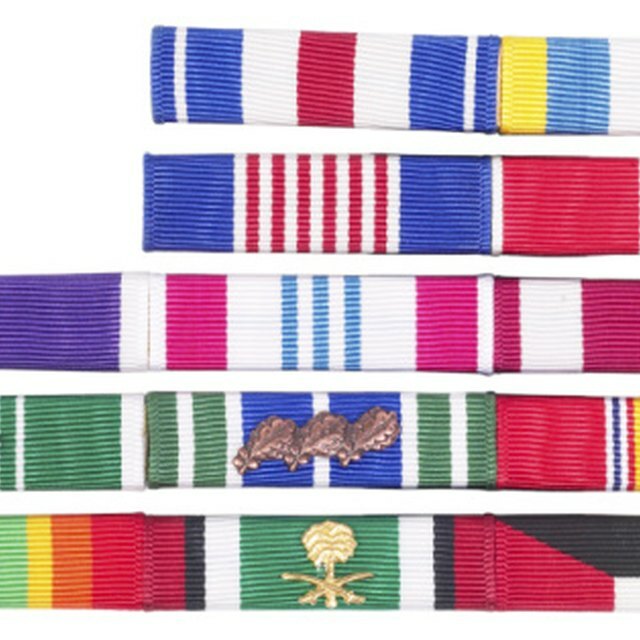 Synonym, https://classroom.synonym.com/how-to-place-awards-on-an-army-dress-uniform-13583624.html. 04 October 2017.